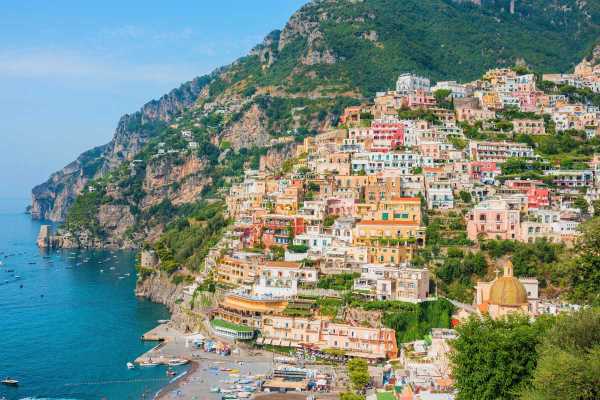 Explore the spectacular cities of Positano, Amalfi and Ravello on a tour departing from the beautiful Naples. 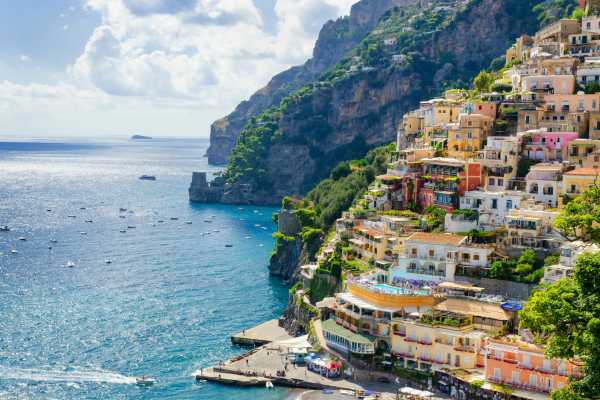 Enjoy the view of the Sorrento Peninsula and the Bay of Naples along the journey to the wonderful Amalfi Coast, characterized by sheer cliffs, coastal landscapes and pretty villages. From Rome to Capri in no time! Get on board and visit Capri and live an exclusive experience. Discover the most beloved island in the world and admire its colorful caves, majestic cliffs and natural arches. Take a dip in the blue sea of ​​the island and enjoy the famous limoncello of Sorrento... do not miss the chance to visit Capri by land, during your free time. Enjoy the beauties of the island of Capri from the sea! You will sail on board of a typical Sorrento boat with a small group of 12 people to discover the wonders of the most beloved island in the world. 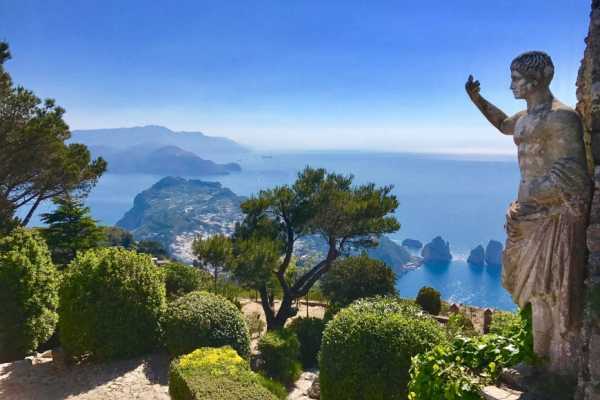 Let yourself be overwhelmed by the view of the famous Faraglioni, the numerous caves and its striking color effects, the blue of the sea and the majestic cliffs of Capri. Jump in the crystal water of the island and enjoy limoncello. 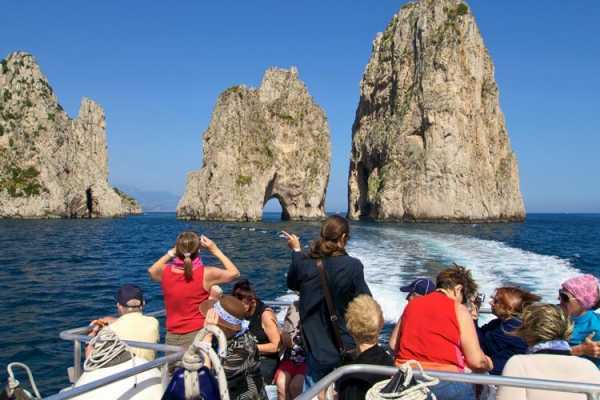 Jump on board of a typical Sorrento boat in the company of small group of passengers and explore the Capri of island from the sea. Admire caves, inlets and breathtaking landscapes during a relaxing boat ride around the island. 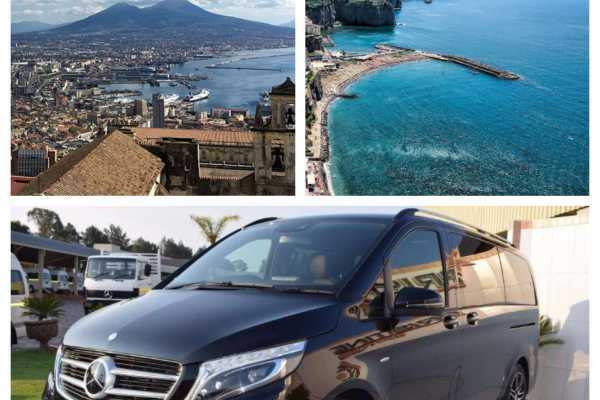 Continue the tour on the island, visiting Capri and Anacapri taking advantage of the free time at your disposal. All the best of Capri in one day! Your guide will wait for you in the gardens of the eighteenth- century Villa Favorita, to start an unforgettable day together. 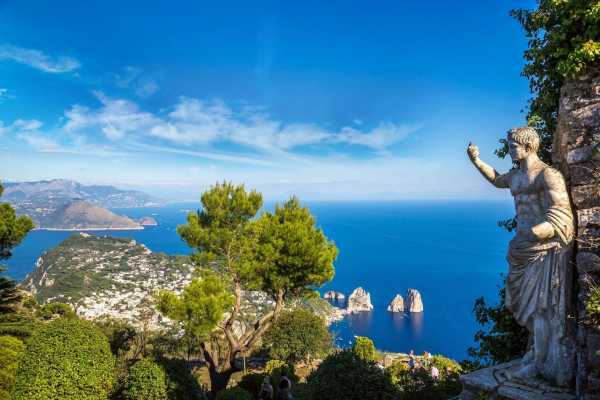 Explore the beauties of the island of Capri by sea: caves, majestic cliffs and breathtaking views… Then you will enjoy a guided tour of Capri and Anacapri, walking through the alleys, small shops, cultural sites and scenic overlooks of the island. A tour to discover Ischia and Procida, two beautiful islands of the Gulf of Naples. 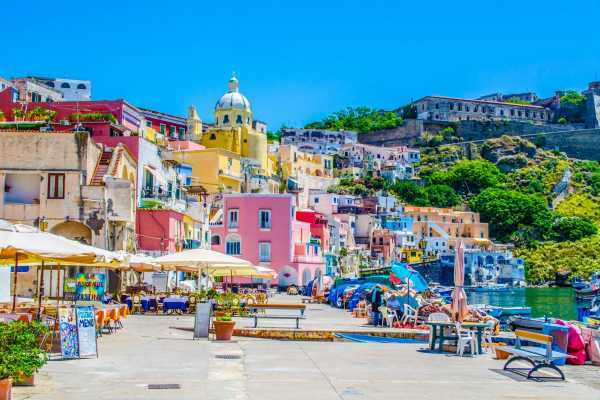 Explore the natural beauty of the smallest islands of the gulf: Procida, famous for its beaches, bays and coves, is certainly the less contaminated. You will then reach Ischia, the green island, with wild and unspoiled landscapes, famous for its thermal resources and small fishing ports. 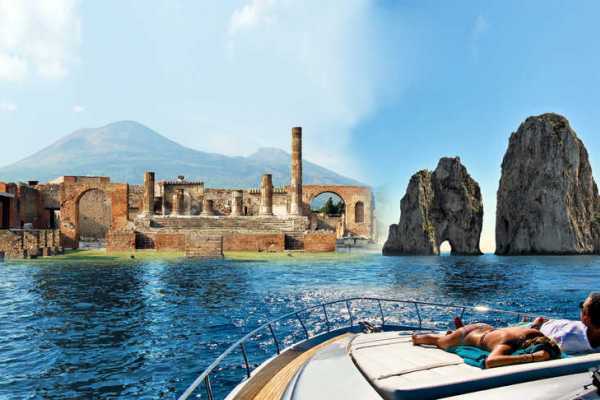 A historical and fun boat tour to the discovery of Pompeii and Capri, two of the most spectacular attractions of Naples. 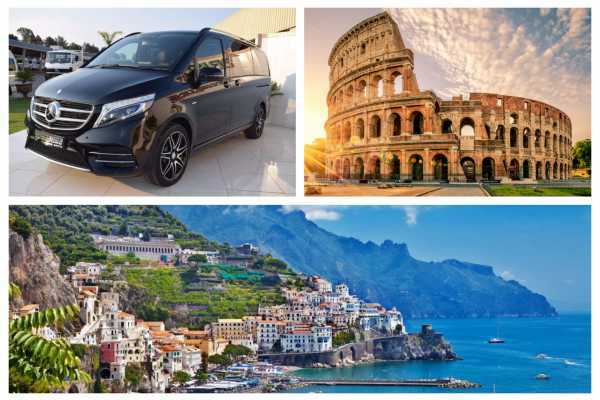 Take a leap into history and explore the ancient city of Pompeii and the traditions of its inhabitants, then relax on board and enjoy the view of the magical island of Capri. 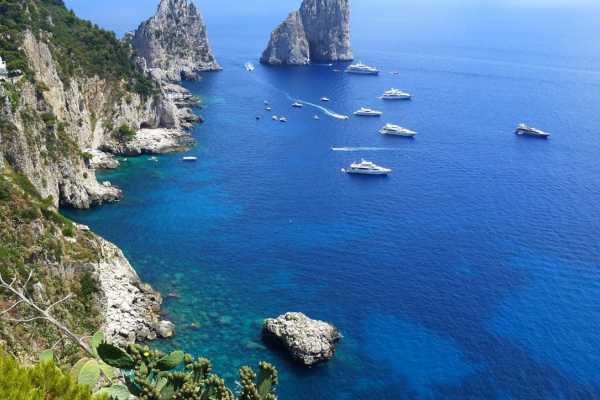 After admiring Capri from the sea, you will have the opportunity to visit the island by land. Returning back to Sorrento, enjoy a moment of relax and taste the famous limoncello of Sorrento. 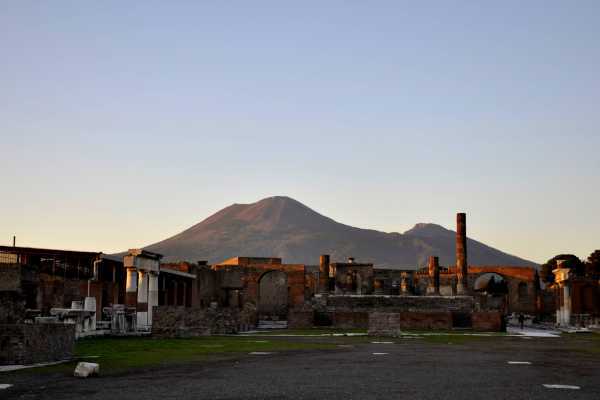 An exclusive historical and cultural tour: the majestic Vesuvius and Pompeii, the immortal and evocative city. 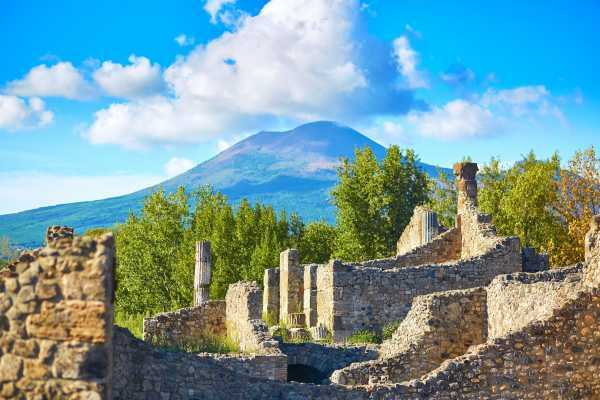 Take a leap into history and explore with us the city of Pompeii, buried in 79 AD by the eruption of the Vesuvius: a local guide will make you discover the history of the ancient city and its inhabitants. 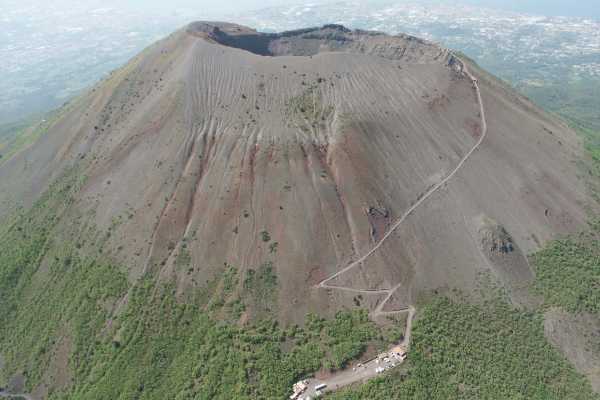 But your day does not end here... you will climb up to a height of 1,281 meters to admire the grandeur of the Vesuvius crater and a breathtaking view of the Gulf of Naples. 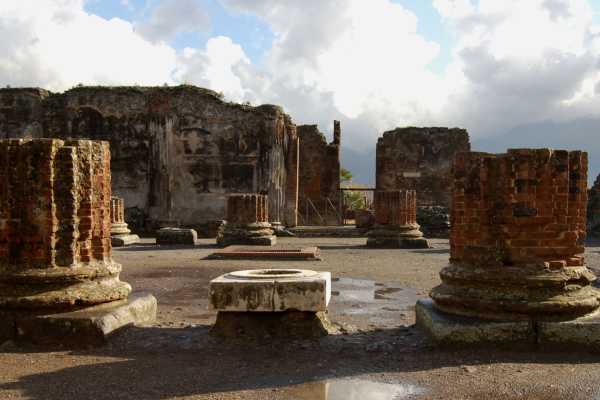 If you are spending your holiday in Capri, do not miss the chance to visit Pompeii and the Mount Vesuvius. 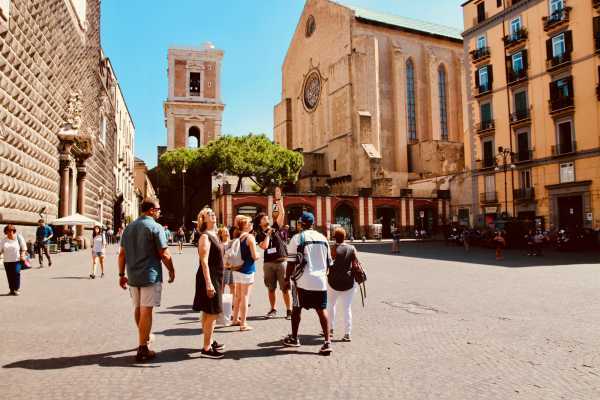 This exclusive historical and cultural tour will give you the chance to combine an impressive boat tour to the visit of the most famous Neapolitan attractions. 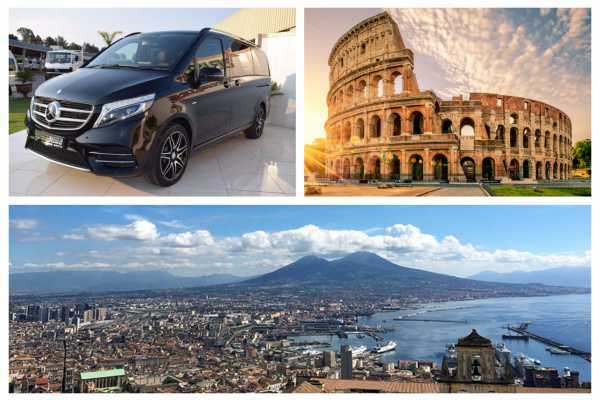 Take a leap into history and explore with us the city of Pompeii and admire the crater of the Vesuvius, with its breathtaking view of the Gulf of Naples. 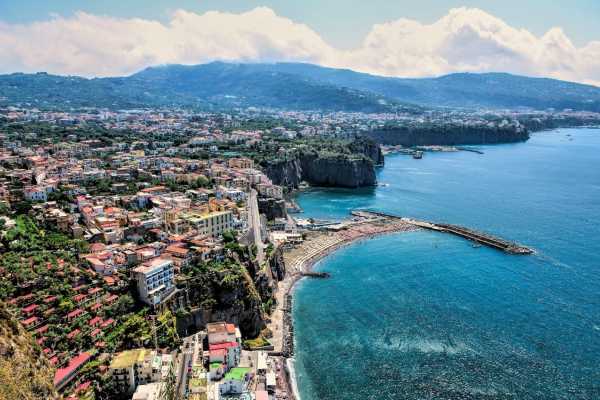 On the return boat ride, enjoy a moment of relax and jump in the waters of the Sorrento peninsula. 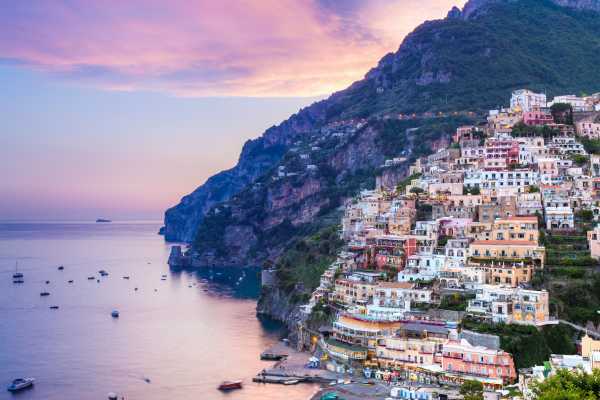 Say goodbye to the marvellous Positano for a day and visit two of the most famous Neapolitan attractions: Pompeii and the Mount Vesuvius. 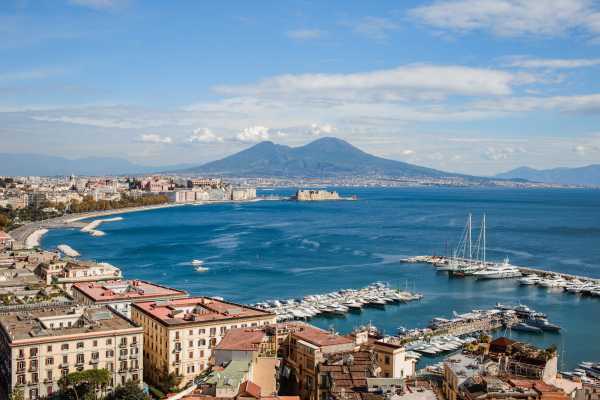 A historical and cultural boat tour awaits you: take a leap into history and explore with us the city of Pompeii and the crater of the Vesuvius, with its breathtaking view of the Gulf of Naples. On the return boat ride, enjoy a moment of relax and jump in the waters of the Sorrento peninsula. All the best in one day: a historical and cultural boat tour to the discovery of Pompeii and Vesuvius. 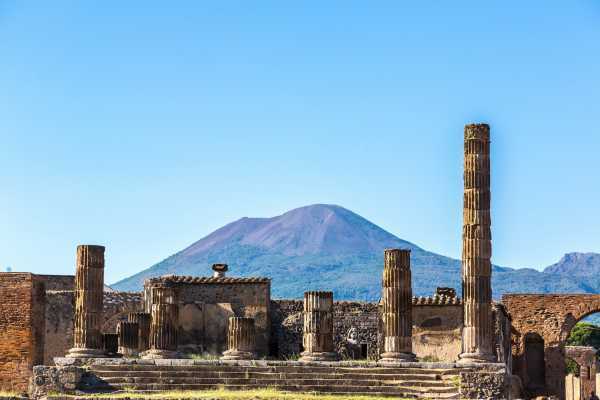 Take a leap into history and explore with us the city of Pompeii, buried in 79 AD by the eruption of the Vesuvius: a local guide will make you discover the history of the ancient city and its inhabitants. 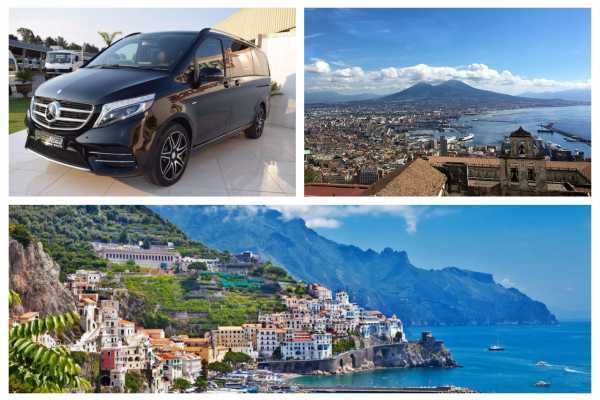 But your day does not end here ... you will climb to a height of 1,281 meters to admire the grandeur of the Vesuvius crater and a breathtaking view of the Gulf of Naples. On the return boat ride, enjoy a moment of relax and jump in the water of the Sorrento peninsula. 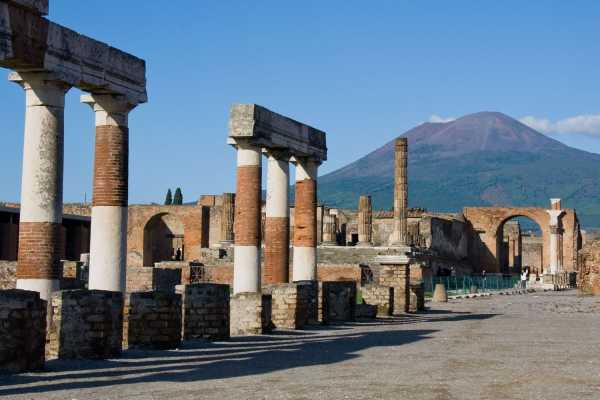 An exclusive historical and cultural tour: the majestic Vesuvius and Pompeii, the immortal and evocative city. 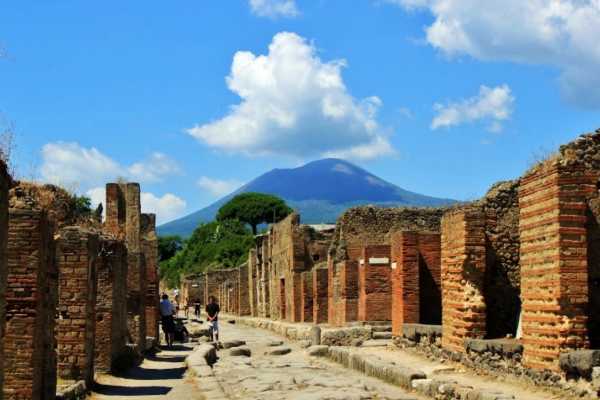 Take a leap into history and explore with us the city of Pompeii, buried in 79 AD by the eruption of the Vesuvius: a local guide will make you discover the history of the ancient city and its inhabitants. 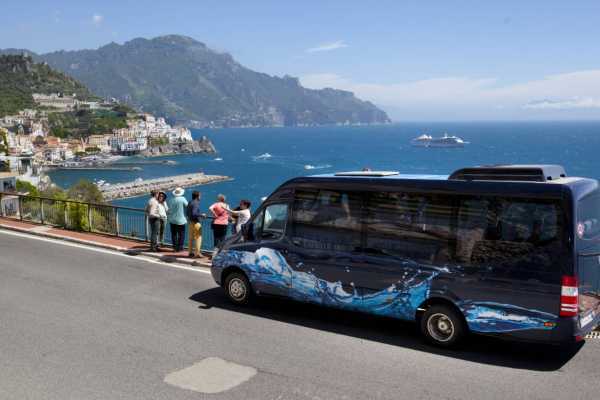 Are you spending your holidays in Rome and you would like to visit the Amalfi Coast? 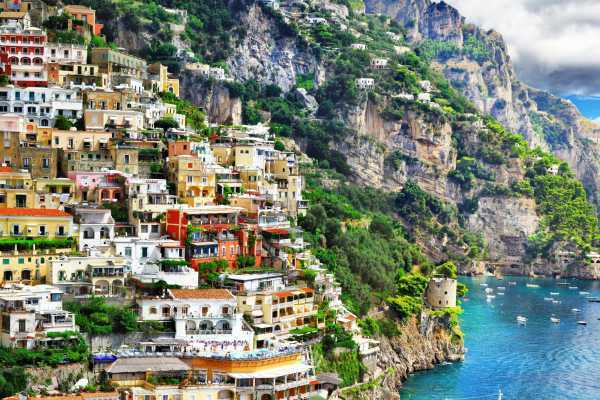 Get on board of a high-speed train and discover the Amalfi Coast from the sea. 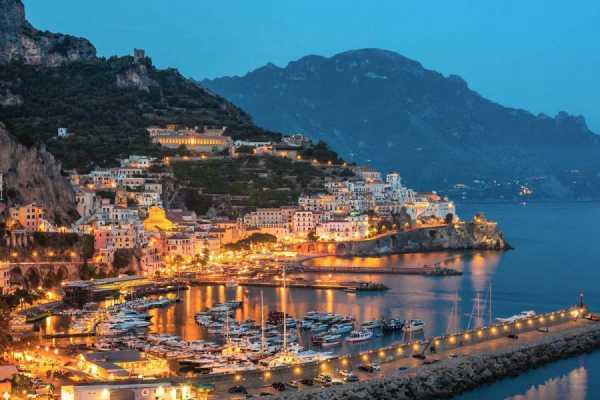 On board of typical Sorrento boat you will admire the mountains overlooking the blue sea and you will explore the cities of Positano and Amalfi by land. Relax on board with an aperitif and jump in the water before leaving for Rome! 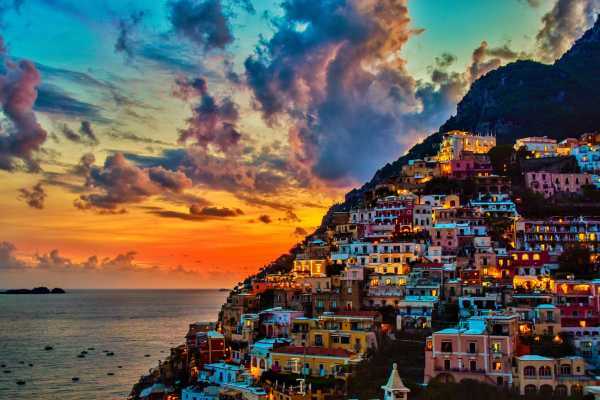 From the enchanting Positano to the discovery of Capri on an exclusive boat tour! Leave the Amalfi coast for one day and hop on a typical Sorrento boat to explore the beauties of the island of Capri by sea. An amazing boat ride among the natural beauties of the coast: caves, inlets, natural arches, breathtaking views and majestic cliffs. All this combined with the visit of the island by land: alleys, streets, shops, cultural sites and much more..
Let yourself be enchanted by the island that every year attracts millions of visitors during an amazing boat trip. Admire the Sorrento coast and enjoy a relaxing boat ride around the island, discovering the natural beauty of the coast of Capri. It will be an unforgettable day of relax and fun! 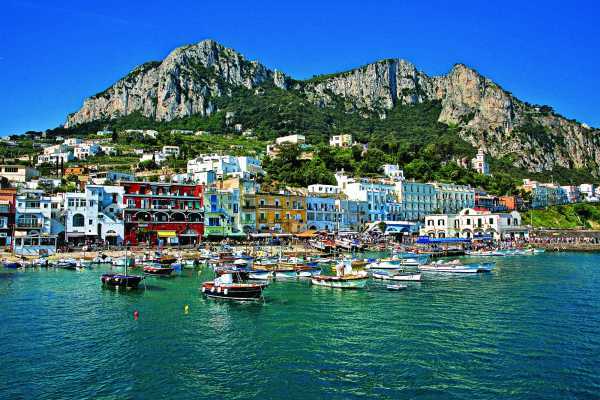 Jump in the crystal clear water of Capri or enjoy the breathtaking view of Sorrento while tasting the famous limoncello. You will also have free time to visit the island by land and to explore cultural and artistic sites. Relax on board of a typical Sorrento boat, enjoying the view of the Sorrento Coast, sailing towards Capri. 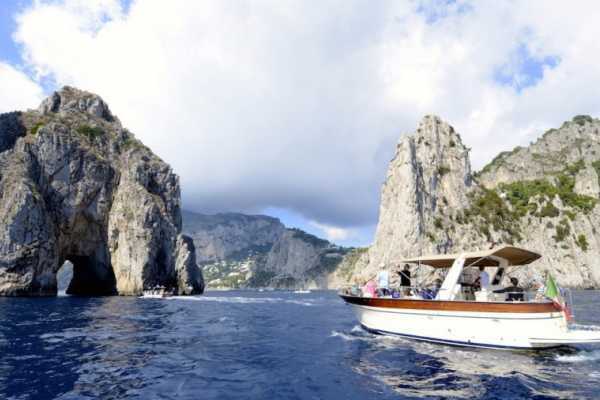 During a fascinating boat tour around Capri, you will admire the wonders of the world's most beloved island: caves, inlets, majestic cliffs and unforgettable landscapes. You will also have the opportunity to visit the island by land ... all this and much more in just one day! 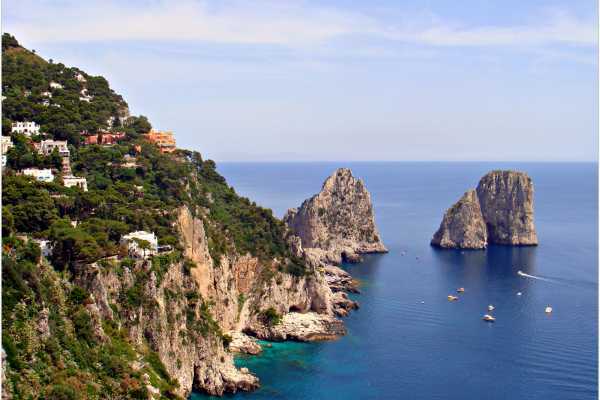 Enjoy the view of the Gulf of Naples and the Sorrento coast, sailing to Capri. 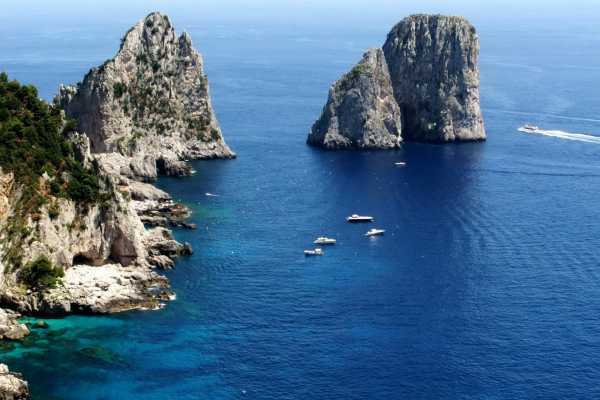 Discover the wonders of the world's most beloved island: the famous Faraglioni, the grottos with their striking colour effects, the blue of the sea and the majestic cliffs of Capri. 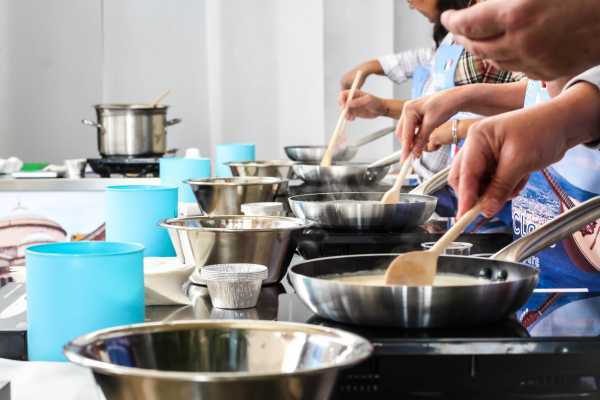 Keep on discovering the island by using your leisure time. 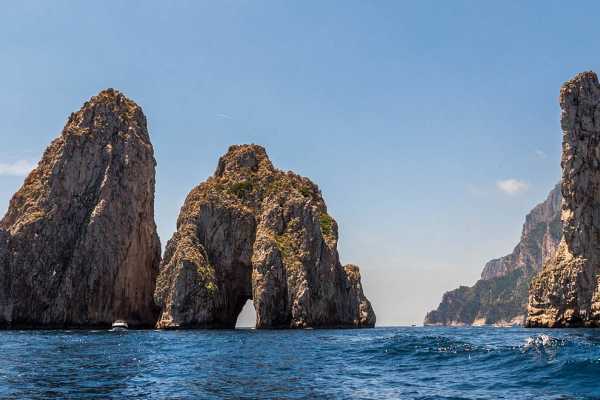 A day entirely dedicated to the discovery of the island of Capri: a boat and land excursion with the assistance of a local guide, who will lead you to the discovery of the island's most hidden curiosities. Caves with bright colors, breathtaking views, majestic cliffs, alleys and picturesque gardens all in one day. 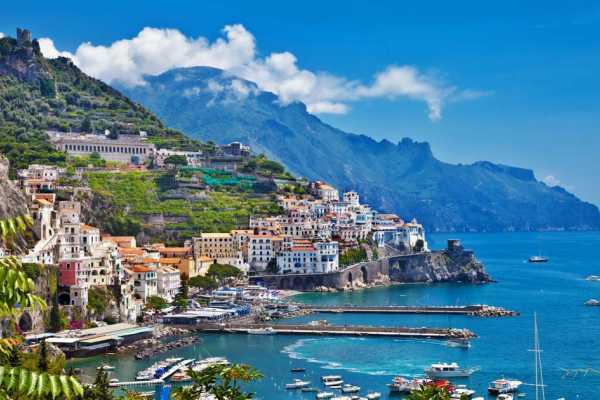 Complete your holiday in Italy visiting the Amalfi Coast from the sea! 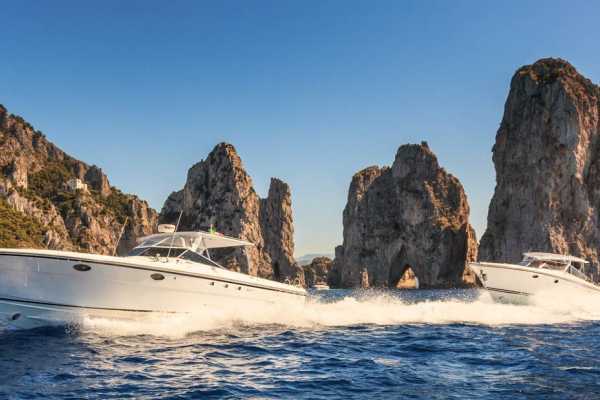 Say goodbye to Capri for one day and get on board of a typical Sorrento boat with a small group of passengers... During a relaxing tour by sea you will have the opportunity to visit Amalfi and Positano, the two symbolic cities of the coast. 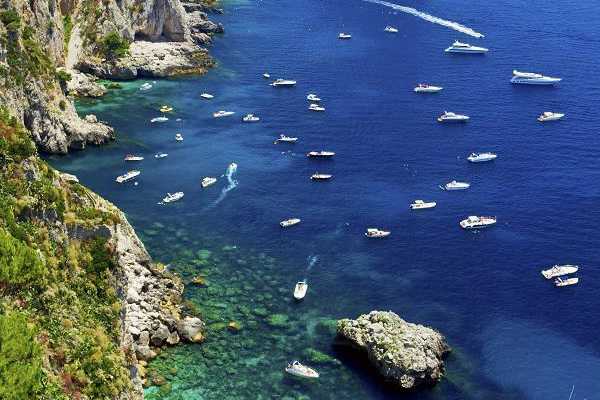 Jump in the crystal water of the coast and taste the famous limoncello during your return to Capri. If you are spending your holiday in Naples, don’t miss the opportunity to visit the Amalfi Coast. 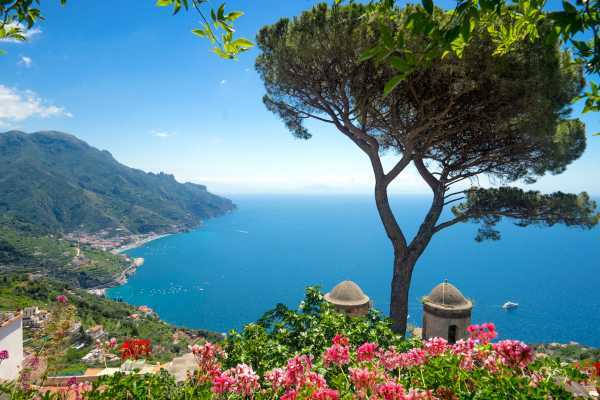 The eyes of thousands of visitors come to enjoy the magical spectacle of the Amalfi Coast: sea, mountains, caves, beaches and panoramic terraces overlooking the Gulf of Salerno. 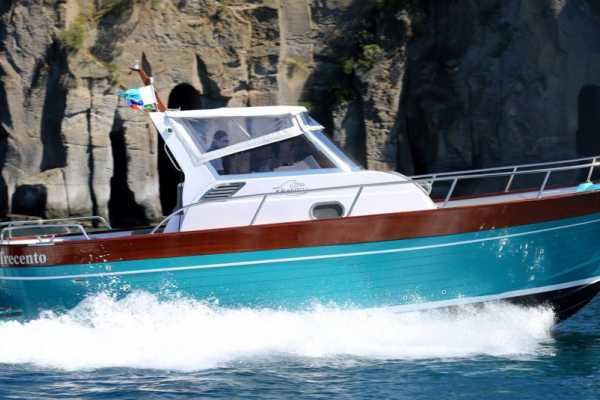 On board of a typical Sorrento boat, you will have the opportunity to visit the cities of Positano and Amalfi, enjoy an aperitif on board and jump in the crystal water of the coast. 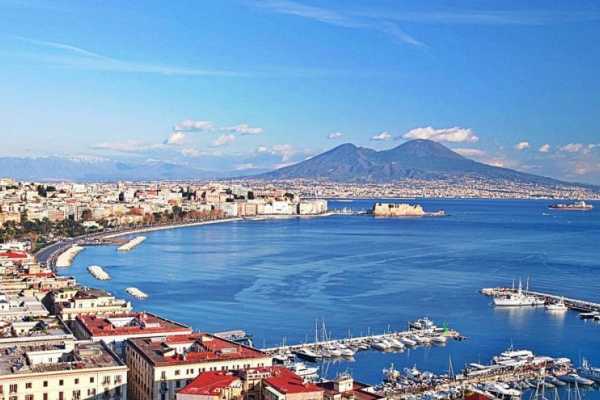 All this and much more during an exclusive tour starting from Naples. 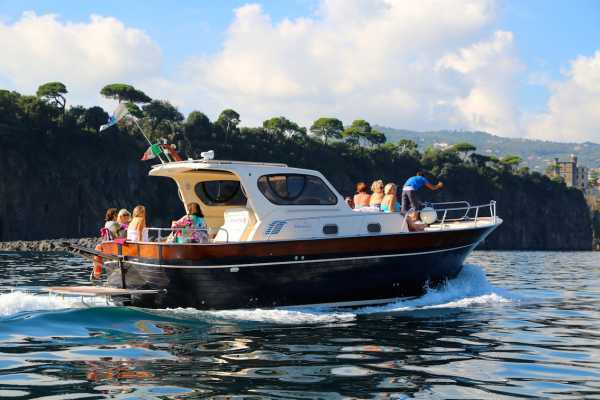 Explore the two wonders of Campania in a relaxing boat tour: on board of a typical Sorrento boat you will admire the spectacle of the Sorrento and the Amalfi coast. 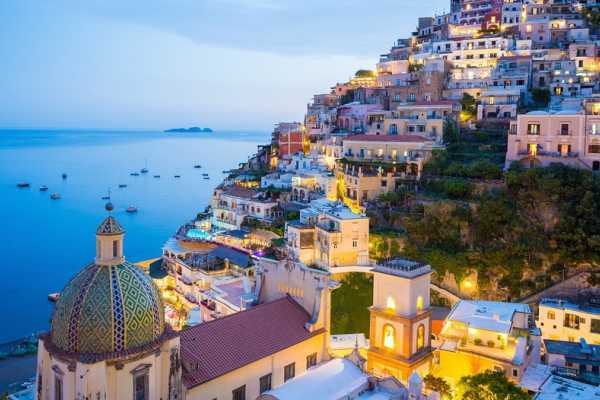 You will sail along the Amalfi coast toward Amalfi and Positano, the symbolic towns of the coast. Discover the beauties of these two pearls, enjoying the free time at your disposal, jump in the crystal clear water of the coast and taste the famous limoncello!